Can any of you here please tell me from where I can get Answer Key of UPSC Exam?????? UPSC (Union Public Service Commission) conducted NDA ( National defense academy) examination on April 14, 2013 (14/04/2013) Sunday. NDA I exam was conducted at 41 centers in India. Depending upon their result, they will be called for the next round of selection. Rest of the answer key is attached in below file which is free of cost for you. 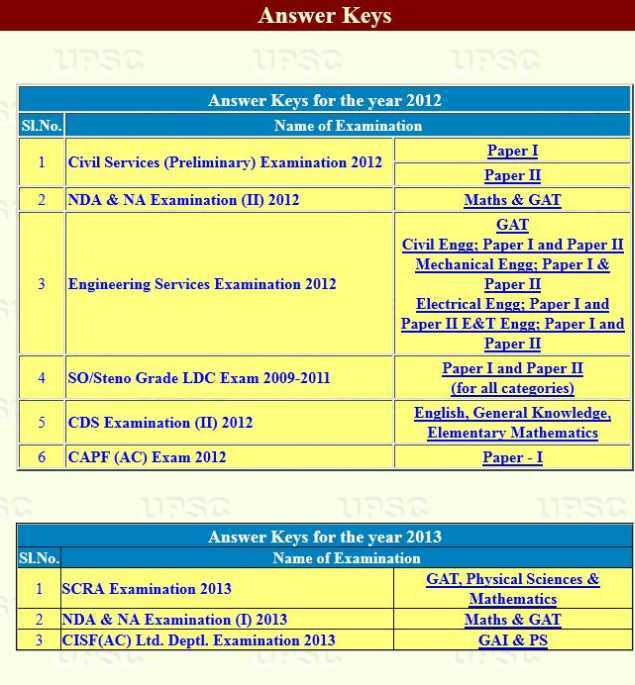 Here I am looking for the UPSC NDA 1 Answer Key 2013. Can you please tell me from where I can get it?? All times are GMT +6.5. The time now is 03:36 AM.